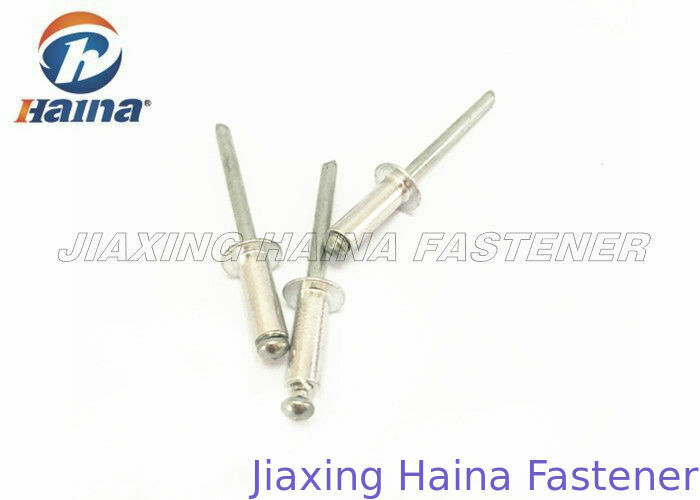 Our company name is Jiaxing Haina Fastener Co., LTD. Our company has a strong production capacity and sale international standard fasteners. 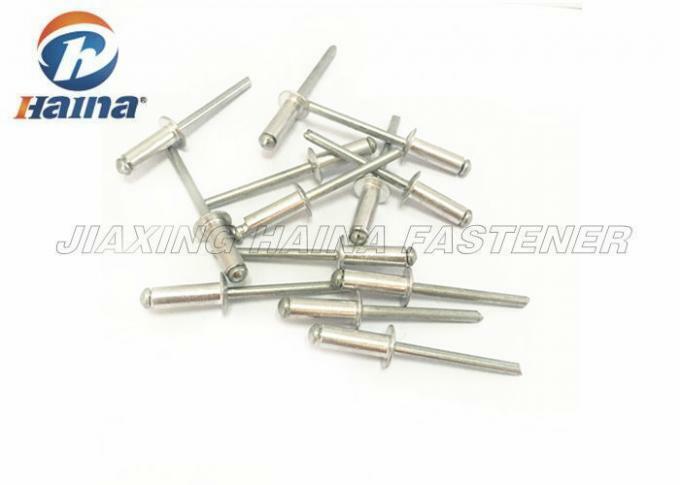 We have build up a best image in the fastener producing and marketing field, well revogiaed by consumers.The common rivet is DIN7337.Rivet we always have large stock, aluminum or stainless steel, we can delivery goods in 5-7days. The material of rivet have many types, such as Stainless steel, Carbon steel, Brass, Aluminum Alloy, Iron, Alloy steel, Titanium, Titanium Alloy etc. We can produce this rivet nut in accordance GB, DIN, ANSI, JIS, ISO, ASTM and customers' requirements with the high quality and lower price. Our company has certificates ISO9001, we can guarantee the high quality with the best price. Blind rivet often use for requiring closed threaded ends, blind end limits scew prentration and excludes outer matter. be further treated such as heating treatment, black oxide, zinc plating, hot dip galvanizing, black zinc platiing, brass plating, nickle and chrome plating, dacomate, etc. offer high quality products at the most competitive prices in the industry. Please feel free to send us email and your enquiry. We will reply you within 24 hours and give you the best price asap. Your attention is much appreciated. Usage Building, Automobile Industry, Furniture, Sanitary, Electronics, Traffic. Lower prive: Lower price with good quality. Building, Automobile Industry, Furniture, Sanitary, Electronics, Traffic. Question 1: What's your payment? T/T,LC for general order ,Paypal and Western union for smaller order or samples order. Question 2: How about your pcking? Our general package is box or bag and then caton, finally in pallet.